Incumbent Mukul Rohatgi recently conveyed to the government that he would like to be relieved from the post he has held for three years. 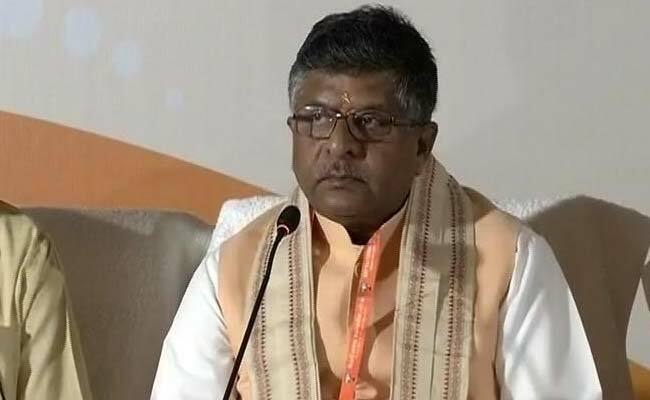 Centre will appoint a new attorney general at an "appropriate time"
The government will take a decision on appointing a new attorney general at an "appropriate time", Law Minister Ravi Shankar Prasad said today. Mr Rohatgi has written to the Narendra Modi government, saying he is not interested in the continuation of his tenure as the nation's senior law officer and wishes to get back to private practice. "We have taken note of request of the AG not to continue due to personal reasons. We respect that. Rohatgi has been a very distinguished AG. He has served with great distinction," the minister told reporters here. "The government will take a decision at an appropriate time" on who would be its next top law officer, he said. Mr Rohatgi was appointed attorney general immediately after the BJP came to power in May 2014. He has argued in many contentious matters like the challenge to the National Judicial Appointments Commission Act on appointment of judges for the higher judiciary. Recently, he assisted the top court in the 'triple talaq' matter in which judgement is reserved. Early this month, the Appointments Committee of the Cabinet extended his tenure until further orders. Mr Rohatgi had also represented the Gujarat government in the Supreme Court in the 2002 Gujarat riots and fake encounter death cases, including the Best Bakery and Zahira Sheikh matters.